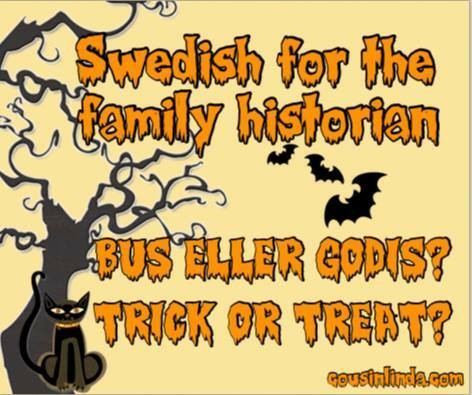 Trick or treat is quite new in Sweden, I did not go trick-or-treating when I was a child. When I studied at the university in the 1990s, halloweenparties was all new. Our tradition is to visit the cemetery and light candles on the graves. In the evening when it is getting dark it is an absolutely wonderful sight with all the candles. Well, this year I won’t be lighting any candles since I will attend MyHeritage Live in Oslo, november 2 to 4. I am so looking forward to that! Three days of genealogy.